Rick Flint retired from the Missouri Dept. of Conservation after 29 years of Outdoor Skills Specialist and Conservation Law Enforcement. He has been crappie fishing all over the country for the past 40+ years as well as competed professionally in Crappie Masters, CAST, and Crappie USA. Rick is a five-time national qualifier in Crappie Masters Tournament Series. He has also fished local tournaments. Rick has served on the Pro Staff for Bass Pro, Navionics, Hummingbird, GLoomis, and Sun Buster. He is currently on the Pro Staff for TTI Blakemore Fishing Group and Lew’s and has taught public crappie seminars for 30 years as well as taught college classes on fishing for 40 years. Matt Dye is a Virginia native, he received his B.S. in Biology with a concentration in Wildlife Management from Bridgewater College, in Bridgewater, Virginia. 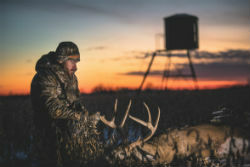 His education and career experiences have provided him opportunities to work with whitetails on private, state, and federal levels across the country. He now co-owns and operates Land & Legacy. This business was created to educate others about habitat management and hunting strategies by producing weekly podcasts in addition to providing private land consultation services across the country. Adam Keith grew up in the Ozark mountains of Missouri. Even at a young age, wildlife management was one of his biggest passions. While studying Agriculture - Animal Science at College of the Ozarks he began his career of Wildlife management working for the state of Missouri. His passion and opportunities have allowed him to work with landowners improving habitat across the country. Now the co-founder of Land & Legacy his mission is to educate others on habitat improvement and conservation through weekly podcasts while also offering consultation services across the country. Seminar Topic: Living on the Edge- It is commonly said and accepted that deer are creatures of the edge. However, with closer examination, we find that it's not the edge that they love, its the vegetation and cover they are attracted to that is commonly found along edges. So, we break this down and provide you with countless examples of ways to get more edge species on your property to improve the cover and forage for wildlife. We will breakdown a basic 600-acre Missouri farm to show you the best ways to complete a full habitat overhaul. These types of practices not only improve the habitat but make the hunting much better as well! Glenn Rosser was taught to fish by his grandfather who lived on the bluffs above the Taneycomo River in Branson and has visited Table Rock lake multiple times a year, all his life. Glenn was the president of Heaven's Anglers in St. Louis for ten years and fished tournaments all over Missouri before retiring to the Table Rock Lake area. After fishing with a guide on Table Rock Lake in the 80's and thoroughly enjoying the trip, he knew what he wanted to do once he retired from General Motors. He is currently in his fourth year as a guide on Table Rock. Seminar Topic: Quality Deer Management - the tactics we use to grow, hold and harvest mature whitetails. All farms - regardless of makeup, location, neighbor pressure or state can be made better utilizing a simple 5 step approach. 98% of us don't have the ability or financial backing to pick and choose what farms we purchase to hunt on, but either have generational farms, or farms that fit the budget. This doesn't mean you can't consistently harvest the top age class of deer in your area though! Growing up in Northern Missouri, Steven has spent his entire life hunting and personally managing farms for top-end whitetails. 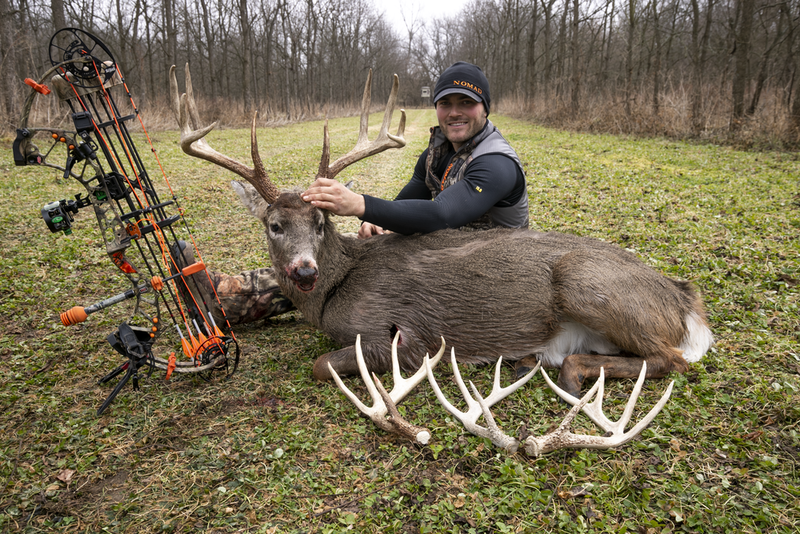 Harvesting 5 gross B&C whitetails in Missouri, Steven has a track record of success in taking over a new farm, building and growing it into a consistent mature buck producer. Along with his brother Jesse, Steven has spent the last two seasons as part of the Drury Outdoors team, showcasing their success on the Outdoor Channel - a nationally televised outdoor network. Over the last few seasons, Steven has grown an extensive following for his knowledge in all-things whitetail, and taking farms to their top end potential to consistently produce. Seminar Topic: The program is called 'Within Reach. Kayak Fishing for River Smallies"
Having become friends in Boy Scouts activities; Barry and Dennis decided to try competitive Dutch Oven Cooking in the Spring of 2012. The duo formed The Ozarks Dutch Oven Group that March to see if we had many people that liked to cook as much as they did. To their amazement, there are many in the Ozarks that love Dutch oven cooking. On Facebook (Ozarks Dutch Oven Group), their followers went from 100 folks to now over 2,300 from literally all over the world. In 2012 they went to Canton, Texas to compete in the National Dutch Oven Gathering’s Dutch Oven Cookoff. Of 20 teams that year, they finished 13th. There was a learning curve to find recipes that would impress judges at the cookoffs. The next year, the NDOG was in Arkansas and they finished 6th. They had competed in MANY regional and wider cookoffs that year. In 2014, Barry had other obligations and could not go to the Nationals in Iowa. Dennis and his wife Kathryn went and competed and finished 8th that year. They decided to take a break from competing in National events – rather turning their attention on teaching beginner 101 classes in the Ozarks area. This year, they had the honor of being invited to be the 101 class instructors at the Nation Dutch Oven Gathering which is being held in Hutchinson, Kansas June 22 to 24.